Amarananda Somasiri Jayawardena, fondly addressed as AS by his friends, celebrated his 80th birthday last week. His friends, followers and disciples got an opportunity to pay tribute to this legendary man at a simple birthday party organised by his children. A booklet, titled ‘Many Faceted ASJ’, containing contributions by 19 of his friends and followers was also issued to mark the occasion. Those contributions had looked at many aspects of his personal, family and professional life. Yet, a missing point in them was the philosophy this man was having, the challenges he faced and how he managed to overcome those challenges. Hence, this series intends to bring out the economist living inside him. It is based on my earlier writings on him and the long experience with him spanning over four decades. AS was a hard taskmaster with an obsession for perfection. Hence, he was not popular among his subordinates. He was noted for being hard on them whenever he observed faulty reporting. But, he was a different kind of a boss. Unlike some bosses who used to throw a faulty report at your face in anger, he would sit down and improve it laboriously. In the process, he might make some uncomplimentary remarks at you. Yet, at the end, he would make you wiser and your report better. That was AS’s approach to his subordinates. He was guided by a simple philosophy on improving systems – one should not disturb a system if it worked well. However, if it was imperfect, he would painstakingly introduce improvements until it became perfect. Hence, nothing could pass through him without careful scrutiny for defects and a search for improvements. His whole career – he wore many different hats as a top economist, top civil servant, top banker, top international official and top central banker – has been characterised by his enormous drive to attain perfection in everything he could set his hands on. He would sit at his desk with a flask of coffee on one side and a packet of cigarettes and an ashtray on the other. Then he would work for hours and hours writing, editing or improving a report. An ordinary person who is engaged in this type of work will soon exhaust himself but AS, invigorated and energised by the two stimulants on his table, would not stop his work until he was fully satisfied that he had done a perfect job. I first read about AS in 1969 when I was an undergraduate at the Vidyodaya University. It was my habit to read Parliamentary Debates or Hansards and one day I came across a speech delivered by Ronnie de Mel, then an opposition legislator, extensively quoting a research paper published by two Central Bank economists, A.S Jayawardena and Nalini Jeyapalan, on Ceylon’s tea industry. The versatile legislator blamed the then Government for not heeding the wise counsel offered by the two economists. 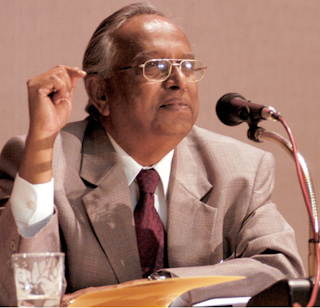 Later in the same year, a senior student specialising in economics at Vidyodaya told me that one A.S. Jayawardena was taking their lectures in microeconomics. He had taught them that day a difficult topic called ‘Consumer’s Surplus’. By then, I had learned a simple treatment of Consumer’s Surplus and was puzzled why it was regarded as a difficult topic. I not only conveyed my feelings to him but also volunteered to explain it to him. Offended by my naïve presumptuousness, he pulled out his notebook and asked me to explain to him how “compensating variation and equivalent variation” affected consumer’s surplus. The welfare aspects of consumer’s surplus underlying AS’s teaching became clear to me only when I did my graduate work decades later. After that, I was constantly alive to many of the radical ideas he expressed in various publications. 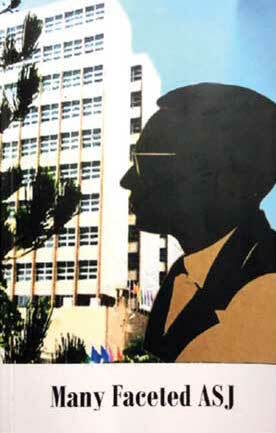 In a pamphlet on Public Sector Industrial Enterprises in Ceylon published by the Industrial Development Board in 1970, he argued that, treating a popular criticism at that time in a lighter vein, appointing defeated political candidates to offices in public enterprises did not necessarily mean an unsuitable choice. That was because such candidates had already displayed the spirit of competition and entrepreneurship having conducted, though unsuccessfully, difficult election campaigns. All that was necessary was to get them to maximise profits of public enterprises by using their inbuilt talents. AS had spoken of the need for public enterprises to make profits at a time when it had been commonly accepted that their goal should be “service to the community” and “not profits”. In another article he had written to the magazine of the Central Bank’s Sinhalese Cultural Association, Ulpatha, he had once again challenged the then accepted view that justified the US’s dropping of atomic bombs on Nagasaki and Hiroshima in a bid to end World War II on the Eastern Front. Quoting various sources, he had argued that by the time the atomic bombs were dropped, the war on the Eastern Front had ended and the only reason for dropping the bombs was to test the destructive powers of this newly-built military weapon. Hence, for him, those victims in Nagasaki and Hiroshima were just guinea pigs. So, by the time I joined the Central Bank in 1973, to me, AS was a radical who looked at everything with an unconventional eye. I have spent the whole of my career in the Central Bank spanning almost four decades with this giant of an economist. Therefore, his ideas, views, philosophy, world outlook and interests were all well known to me. But, to write this profile, I spent about four hours with him at his residence in suburban Colombo surrounded by antique furniture, antique wall clocks, antique drums, antique brassware and many more antique items, all neatly placed in the sitting room catering to one’s aesthetical senses and representing the outcome of a hobby of a lifetime. His wife Lalitha, who has been his shadow through weal and woe, played her well-known role of pleasant and amicable hostess to us. To begin the conversation, I asked him about the article on the tea industry co-authored with Nalini Jeyapalan. My question took him back to 1960s. “Both Nalini and I met in London in the early 1960s when we were on study leave. We found that the entire tea trade in Ceylon, for that matter the tea trade in the whole world, was controlled by 10 or 12 firms in London which had extended their octopus tentacles towards every aspect of the tea industry, from cultivation to branding to shipping to trading. It was a giant cartel which could not be beaten by a small country like ours. “But, at that time, there was a popular view that tea was ours and we should have the power to decide on its destiny. We wrote four articles which were published in the Central Bank Bulletin because at that time we didn’t have a separate publication at the Bank. The message we delivered was that the cartel was insurmountable and Ceylon should be very cautious if it tried to change the winds on its own. If we make any wrong move in haste, the cartel could destroy our whole tea industry because they had the control over everything,” he revealed. His answer puzzled me. I asked him if he was an anti-colonialist. “No,” he said categorically. “Many thought that our articles had an anti-colonialist flavour. But that was not so. We simply analysed the existing situation in the world’s tea trade and cautioned against unplanned moves.” Fair enough, I contemplated. But, did this study receive the attention it merited? This puzzled me more. Wasn’t AS an advocate of capitalist economics and Colvin a diehard Marxist? How could they, holding polar views, become common bedfellows and work for a common goal? I expressed my surprise. But the objective of the land reform program implemented at that time was to go for a socialist economy like one with collective farms, I recalled. That was one of the missions of the Land Reform Commission or LRC of which AS was also a commissioner representing Colvin’s interests there. Did he have to keep silent at those LRC meetings? I was curious to know. AS used the tactic of continuously explaining and educating his fellow commissioners. The solid training he had got at the London School of Economics or LSE regarding the failure of such systems in the Soviet Union and in Indonesia helped him to articulate his arguments. Then, he began to reminisce once again. “There was an all-night educational session similar to a Peduru Party where we were all seated on mats in a circle and tried to educate ourselves of the virtues of setting up collective farms. There were LRC commissioners, its officials, young men and women who were potential members of the collective farms, etc. “Did you get an opportunity?” I asked him. AS is an ardent free market advocate now but was he like that throughout? If it is not so, when did the change take place? I ask him. “Like any young man of the day, I was inclined to socialism when I was at the University of Ceylon,” he admitted. “The real change took place at LSE. Many think that LSE is a seat of leftist orientation because of the leadership given by Sydney Webb, its founder and the fames of Harold Laski. This may perhaps be true for its political science faculty, but not for its economics stream. LSE earlier had such fierce free market advocates like Friedrich von Hayek who wrote in 1940s the famous book, The Road to Serfdom, criticising the socialist type of state managed economy system. I didn’t have an opportunity to study under him, but his legacy had been left behind and others had taken it forward. AS has also completed an MPA degree at Harvard University, USA, during 1974-75. How did that prestigious institution contribute to make him what and who he is today? I wondered. “Harvard solidified my convictions. We studied under a galaxy of great economists like Kenneth Arrow, James Dusenberry, Charles Kindleberger and Richard Musgrave. The subtle philosophical side of welfare economics and its relation to other fields like public economics and monetary economics was imparted to us by Harvard. “Harvard like LSE encouraged us to make a self-discovery. We learnt how market failures invited government intervention. At the same time, there were government failures which were worse. Also, economic freedom, widespread information and good governance contributed to economic development. The learning which you make by yourself is a solid foundation which is ingrained in your system forever and on which you can build up your knowledge base later. It is not like memorising and passing examinations,” he says with an enormous sense of modesty. It makes me think of him in a different way. He is one of those who got the rare opportunity of studying at the two best institutions of higher learning on both sides of the Atlantic and then blending that knowledge into a distinct philosophy of his own. 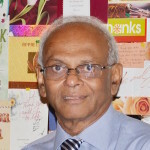 In the next article we will look at his contribution to Bank of Ceylon, first as its General Manager and later as its Chairman, two positions he held on release from the Central Bank. Trying to compare the British tea-plantation system to the present day functioning is so inapt. The British tea-plantations were unfortunately already in place at the time. Countries had to work around it, to make their system somehow work for the better of their people. Nowadays, it will be the forcing of a capitalistic plantation system (industrialized, digitized or agriculturalized), merely to uphold a regionalized capitalistic network for the sake of the powers-that-be. A place like Harvard will be all for the propagating of the American capitalistic system- a system that destroyed her natural farmlands, and killed off the original farming communities, and have no other way but to continually used the bartering of the free-trade system ….the more other country join them, the more the system can go on indefinitely. But we can certainly work with the global capitalistic network and help places like America regain lost heritage where organic and non-GMO agriculture are concerned. We will accept of course any extra other scientific, technological and commercial expertise she has to offer, without compromising our own right to sovereign uniqueness. You mean he was more extradinary than YOU! That you were the Economic Whiz old man, but can’t run with the young dogs. Surprising that you write an article on someone else but you being extrodinaire. What ever the great gentleman Colvin was his Land Reform Act was an unmitigated disaster as it subsequently proved to be.Simply put, once tenderly cared for plantations were ruined in the space of 20 years, forcing the state to once more rely on the private sector.Yet these companies could not deliver the results the sterling companies did or the private owners of large plantations did.So today these holdings are in dire straits.Simply put economics and politics with blinkers is a deadly mix.The moment the state decides to enter into business with a vengeance this is the assured outcome. People needed to be resettled. Tenderly cared plantations were never enough to resettle and feed the teaming millions who were displaced during colonization. Re-settled people now have their small-holding farms and would have been self-sufficient. Instead, they are forced into extra work in the cities and Middle-East, as their farms are not viable enough. They have to pay for every-increasing goods and services brought upon by Elite private-sector. GoSL needs to ensure that the farms remained vibrant. Private-sector needs to interact within the necessity means of the masses, and not the opposite way where the Elite forces the masses to work for their ever-increasing profits. The people who don’t like your thoughts, don’t understand what you are saying. Such is the intelligence in our society. Our society is intelligent enough to agree with AS Jayawardena that the individual/selfish need will always trump the greater good, something that you and Ramona TF either don’t understand or don’t want to. Have you worked in a plantation in Sri Lanka? I have done so for decades. Everyone is there only to rob, steal, or make a quick buck by any means. Last weekend, an 87 year old estate proprietor was tortured and murdered by his own workers who he had looked after in order to steal his little bit of cash. No media outlet in Sri Lanka thought fit to report that. Good luck implementing your/RTF’s ‘utopian’ visions in Sri Lanka, where selfishness and greed trumps all else. Then again, in a so-called Buddhist nation where even so many monks are well-known to be child molestors, what else would you expect? In successful countries that have good governing systems, greater good unusually trumps individualist needs. I read the other day that Sirisena is planning to develop the traditional farming sector. This will be a relief for the average Lankan, and a noble deed for Sirisena. Let’s hope he really means it, and gets it going asap. Then heinous crimes that happen on plantations will be a thing of past hardships. Dear Mr Wijewardena. Do you know why ASJ lost his post as secretary Finance? After being asked to step down as secretary finance, should he have been given the post as the central bank governor? A promotion when he should have faced justice? Kind of reminds me of PBJ, another secretary finance who was found guilt and instead promoted.